If you were to put together a short list of drivers that audiophiles would like to see in their dream speaker, the Serbian RAAL tweeter would rank pretty high. It has all the top-tier virtues one would normally wish for - exquisite resolution, dynamic agility, low distortion and good efficiency. So why isn’t its use more pervasive? Two main reasons. First is cost. This performance level doesn’t come cheap. 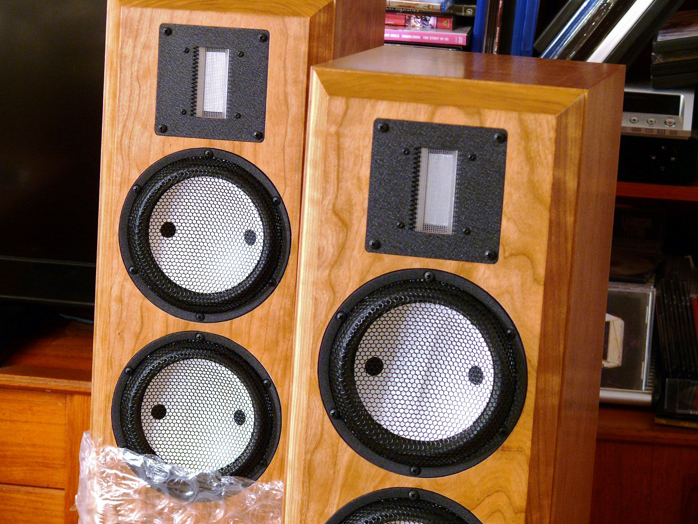 The raw tweeter cost rivals that of many complete loudspeakers. Second is finding a driver to cover the lower range that can keep up with the RAAL without looking embarrassed in the match. Not easy as those who have tried will attest to. Also not inexpensive. A successful RAAL-based speaker will thus never be a budget offering. 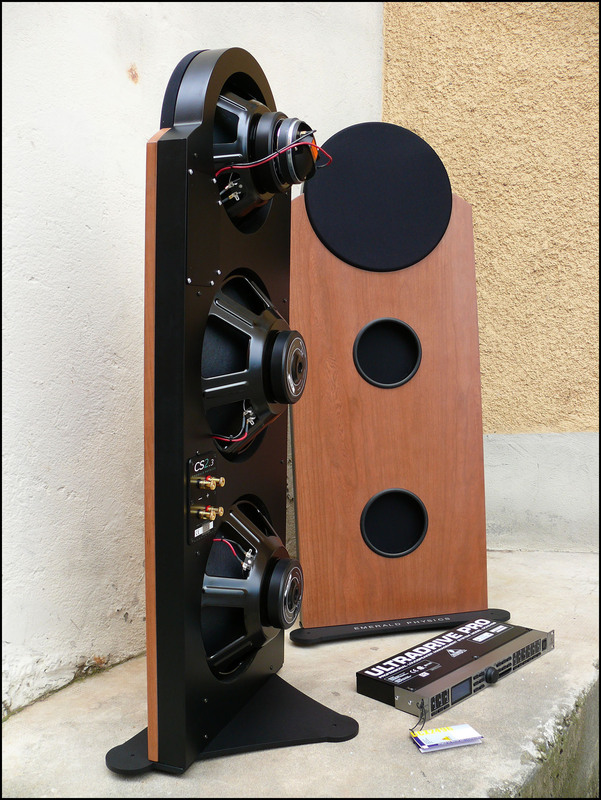 For those smitten by its sonics but held off by the financial entry point, Clearwave Loudspeaker Design is about to try and add the words reasonably affordable into the RAAL vocabulary. Meet Mr. Jed Kunz and his new Symphonia speaker line. Located in East Rochester New York, Clearwave Loudspeaker Design opened its doors in 2008. 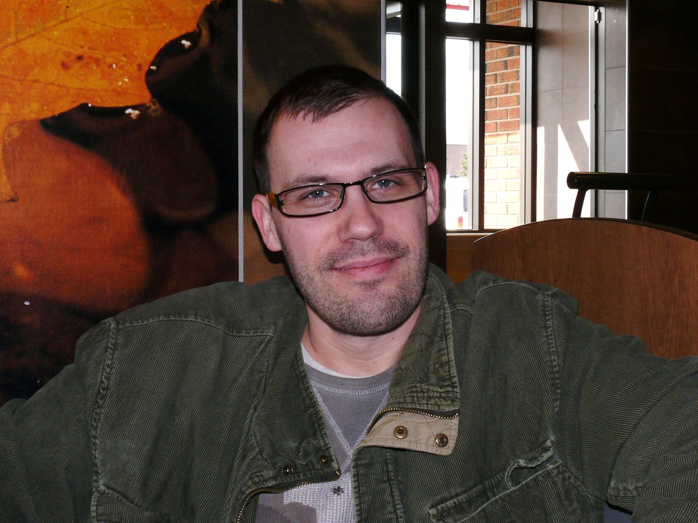 Owner/designer Jed Kunz worked his way up through the ranks from award-winning enthusiast and respected DIY information source to business entrepreneur, applying technical skills and 15 years of experience to pursue an Internet business model offering extremely high-quality high-value loudspeakers in kit form. This allowed him to introduce his designs at attractive rates whilst building a solid reputation. That success has now prompted Mr. Kunz to proceed to the next logical step. In evolutionary progress the kits have been phased out to introduce high-end finished loudspeakers. The current lineup is intentionally limited to just two models which represent what Mr. Kunz feels are his best at their respective price and size. The Symphonia 7R is a two-way stand-mounted monitor, the Symphonia 72R a 2.5-way floorstander. Both are aggressively priced and include high-quality hardware. Some of the components may be off the shelf but Mr. Kunz has chosen from premium shelves. His RAAL tweeter is in fact custom-made to his specifications. This state-of-the-art ribbon tweeter is utilized in both the floorstander and monitor models. The 7R monitor matches it to a single 7" German Accuton mid/woofer whilst the larger 72R doubles the Accuton count with the bottom woofer rolled off sooner and more steeply to better simulate a point-source radiator as a result of baffle step compensation. 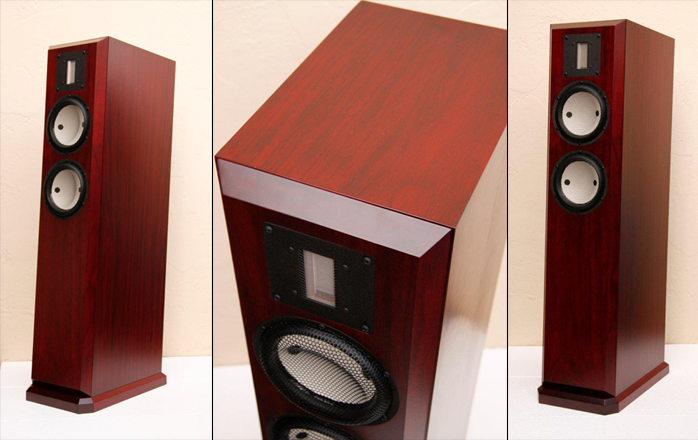 The Symphonia 72R is aesthetically handsome and sophisticated. It is a relatively compact floorstander, large enough to offer full range performance, small enough to complement rather than dominate a room. The basic dimensions are 40 H x 9 W x 14" D with plinth. 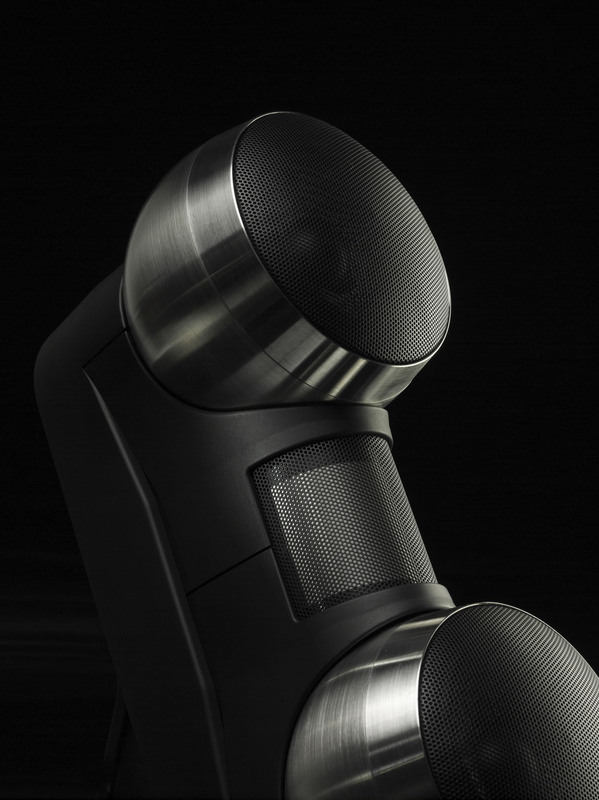 Each speaker weighs 70 pounds. Nominal impedance is 4 ohms with a comfortable sensitivity of 90dB. 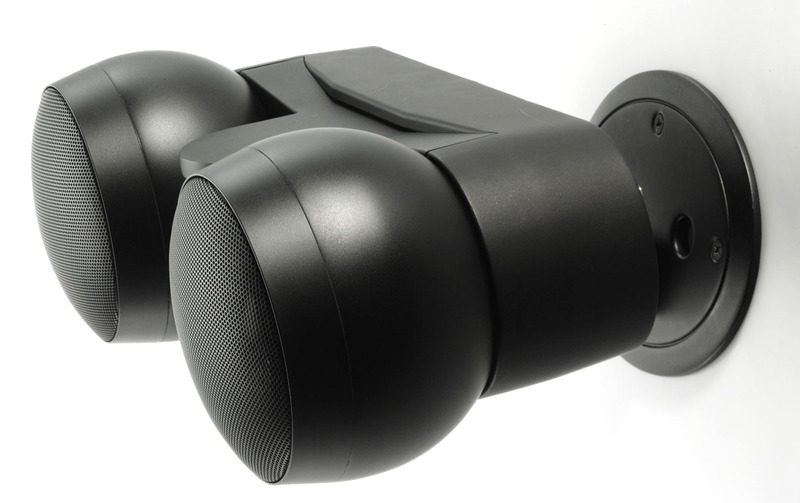 The speaker has a 5° tilt back, which should benefit time alignment and prevent floor interaction with the woofers. All drivers are flush-mounted on the front baffle but the Accuton woofers have a protective metal mesh grille which protrudes. Rear panel port and binding post plate are likewise mounted flush. As a refined touch the oversized post plate has the company logo and model number engraved into its metal surface. Construction is high-precision CNC utilizing a combination of solid wood and veneer. Fit and finish were first rate, all surfaces and materials showing tight tolerances with the base and front panel done in angled solids. Transitions from solids to veneers were flawlessly matched. The review pair came in an elegant Cherry Spice satin finish. Rosenut and a lacquer-coated Blackwood are also available. The front panel is a 2-inch non-resonant sandwich with the top layer 1-inch solid hardwood with a 45° bevel on the side and top edges. The internal driver openings have chamfered flares to eliminate early reflections inside the box. The rest of the cabinet is a 1" sandwich of MDF and damping material extensively braced to ensure non-resonant behavior and minimize standing waves. The speaker sits atop an integrated 1.5-inch faceted solid hardwood plinth. Mr. Kunz includes 4 adjustable floor spikes sourced from Dayton Audio which thread into the base and come with floor protector discs. Parts inventory matches aspired pedigree. Binding posts are massive gold-plated high-purity copper unit from Cardas, resistors are Mundorf, capacitors Clarity MR, ESA and PX, inductors air-core copper. Crossover wiring is point to point. Internal cabling is described as "high quality". The review pair came with a single pair of posts. Biwiring is available by request, bi-amping is not an option.